" ... 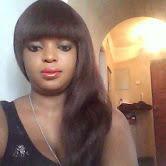 Looking for a Man between 25 and 61 years.... "
Looking for a relationship or Interested in dating anthonia? Our dating website has thousands of members seeking love - dates - friends and relationships. am a god fearing lady,pretty n friendly.am not so gud with words so...thats all. i am pretty simple when it comes right down to it. i have a job i love and gives me a lot of flexibility in my life. av american height,dark in complexion and born again.